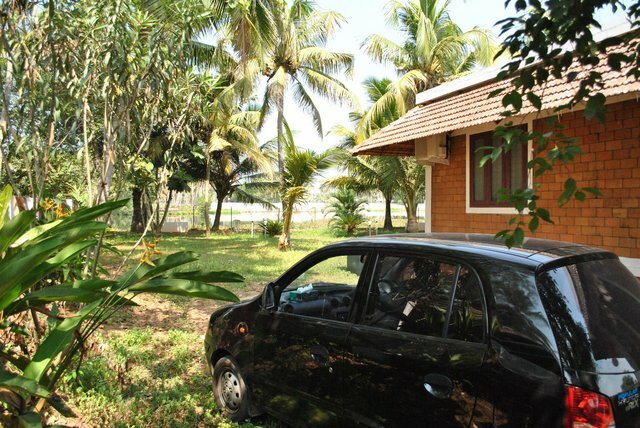 Riveredge Villa is an independent furnished villa built in Kerala sytle architecture available for short term and long term stays for leisure guests. Riveredge is ideally located near Vytilla mobility hub and bye pass and is appoximately 3 Kms. Riveredge features two bed rooms with attached toilets, living, dinining, kitchen and a verandah overlooking the Kaniyampuzha river. Riveredge is situated on the banks of Shari river in a village kind of neighborhood away from the hustle and bustle of the City. Double rooms with en-suite bathrooms, A/C bedrooms with hot and cold running water. Check out - 12 noon.